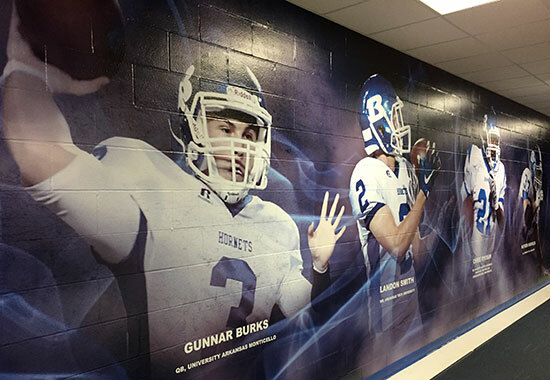 The Bryant Hornets Touchdown Club hosted the unveiling of a new set of wall designs at the BHS fieldhouse on Sunday. 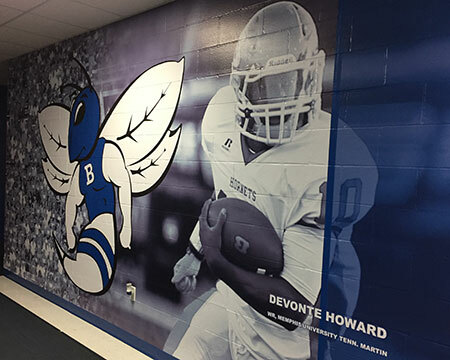 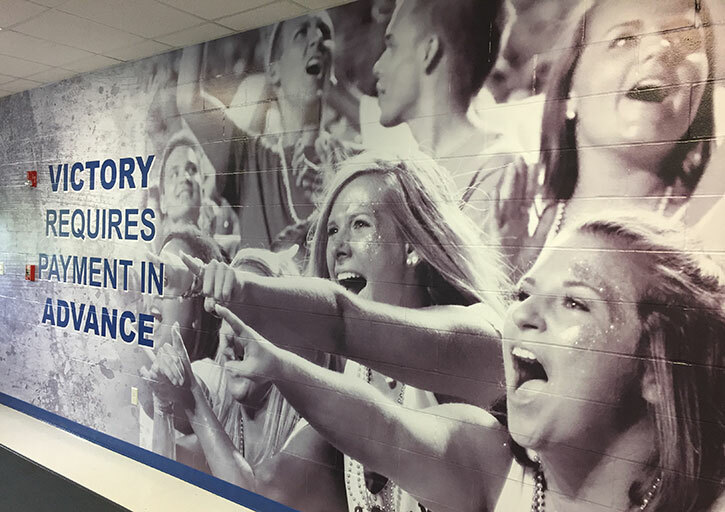 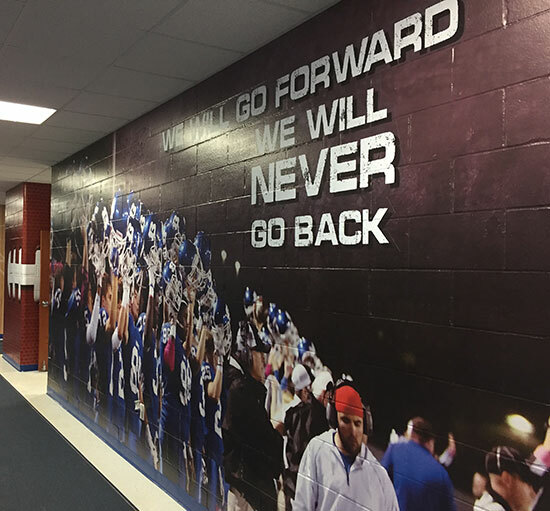 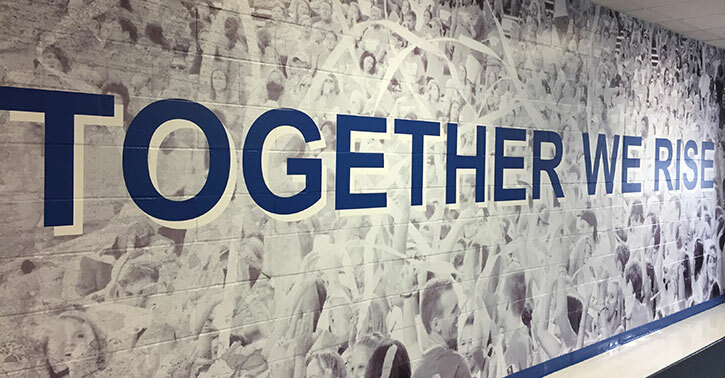 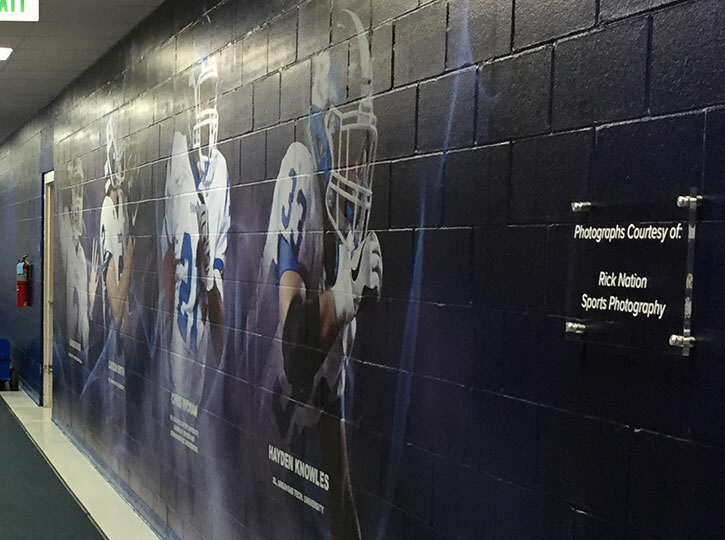 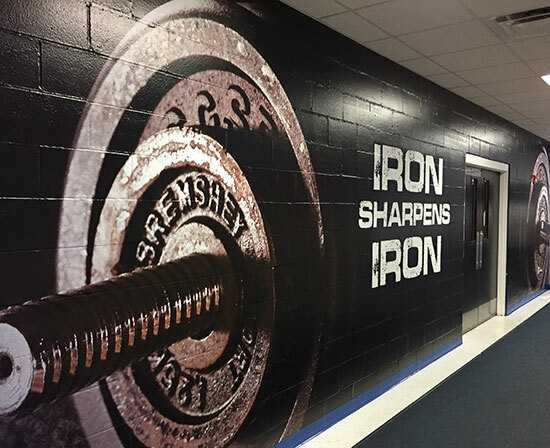 According to TD Club president Mark Knowles, Jason Offutt, owner and president of ACE Sports and Kayla Hadar, Graphics Production manager, helped produce the new wall designs, which feature former Hornets who went to play in college. 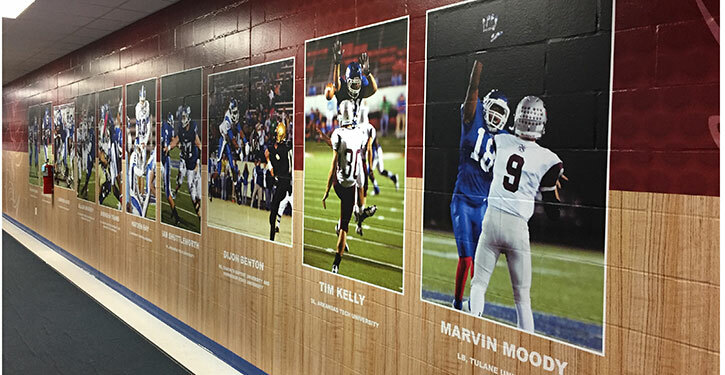 They include Dijon Benton, Gunnar Burks, Cameron Davis, Cole Fritschen, Davonte Howard, Tim Kelly, Hayden Knowles, Marvin Moody, Cameron Murray, Hayden Ray, Chris Rycraw, Ian Shuttleworth, Landon Smith, Dillion Winfrey and Brenden Young. 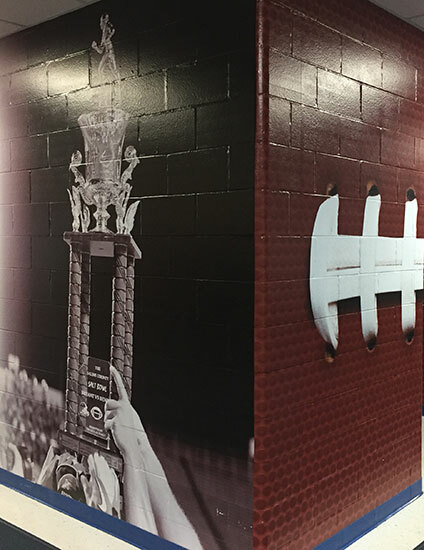 The photos used for the displays were taken by Rick Nation.